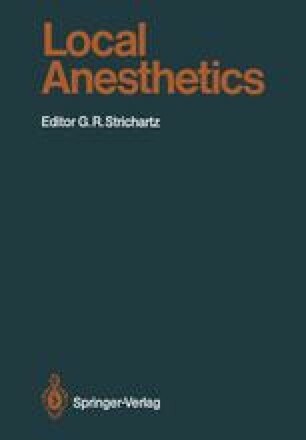 Local anesthesia has been in active clinical use for 100 years. During the past 50 years surprisingly little change has occurred in drugs or techniques. Recently there has been a rapid increase in the demands placed on the anesthesiologist: The parturient needs pain relief but does not wish to prolong her labor by decrease in motor function. The patient with chronic pain needs relief but a clear sensor-ium so he may continue as an active member of society. Patients suffering from various neurological disorders with uncontrollable muscle spasms need relief without loss of sensation. These demands can be satisfied only partially with available methods of local anesthesia.